This Paleo Pumpkin Coffee Creamer is made with real ingredients and will give you all the fall seasonal feels! This dairy free coffee creamer recipe is one of many over on our dairy free coffee creamer recipes collection. I used to be addicted to Starbuck’s pumpkin spice lattes but let’s be honest, the amount of real pumpkin in those is about <1%. 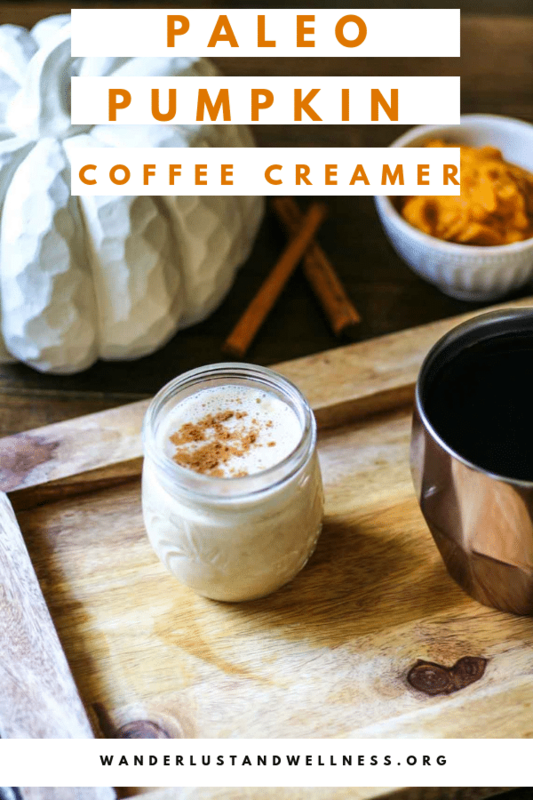 I wanted to create a rich and creamy pumpkin coffee creamer that was dairy free and would create a nice, velvety latte feel with my coffee. Just add in a few tablespoons of this creamer and you’ll have your own homemade pumpkin spice latte! I’ll admit – I used to be a Starbucks junky and the minute they released the pumpkin spice latte I was the first in line. But, with my need for a dairy free coffee creamer, I set out to recreate my own version! This pumpkin coffee creamer truly tastes just like pumpkin pie and uses real pumpkin pureé! And as with all of our coffee creamer recipes – you can be assured that they are both dairy and nut-free. In a saucepan, combine all ingredients and bring to a low simmer over medium heat, stirring until well combined. Once it simmers, reduce heat to low and cook for 20 minutes. Pour into a mason jar and let cool. Use with your favorite coffee as you would any other creamer. Does the pumpkin pureé make the creamer gritty? No, once it’s cooked the creamer the consistency is smooth. Is homemade coffee creamer healthy? 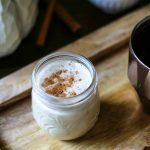 This paleo pumpkin coffee creamer is made with real ingredients, however, I don’t like to classify foods as good or bad so I’ll let you make the intuitive decision for what’s right for you. Enjoy these other Paleo friendly recipes! 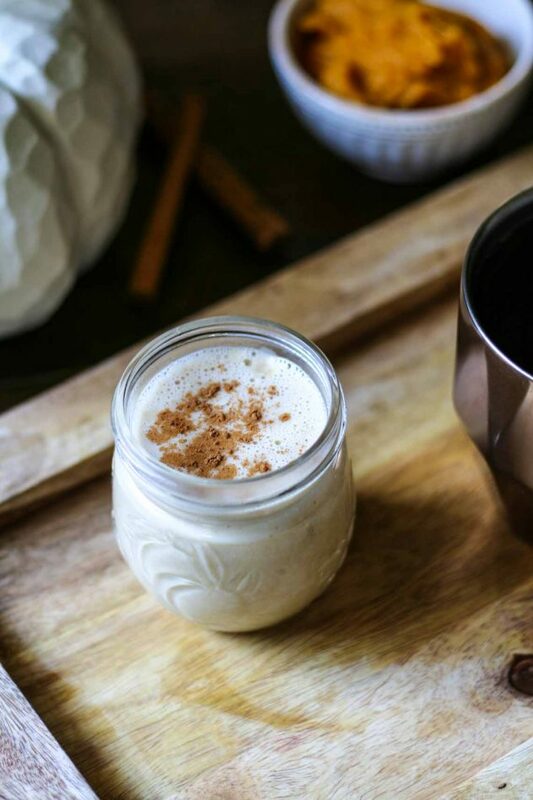 A rich and creamy paleo pumpkin coffee creamer that’s dairy free and uses real pumpkin pureé!